I have enjoyed shopping at Costco for many years. I buy so many foods and supplements that support the healthy lifestyle I want for myself and my family. 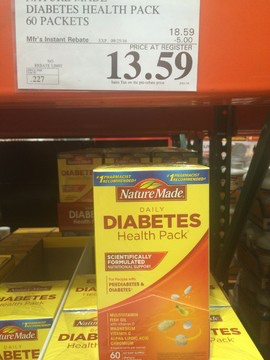 Recently I went to Costco to find out what’s available for people with diabetes or who are trying to prevent diabetes. The focus of healthy meals is vegetables, and Costco’s produce section has a large variety of fresh, non-starchy vegetables. There are many colorful choices that are nutritious and look great on your plate. Non-starchy vegetables are full of vitamins, minerals, and fiber, and are low in calories and carbohydrates. Costco has healthy whole grain bread choices,as well as other healthy cereal options. 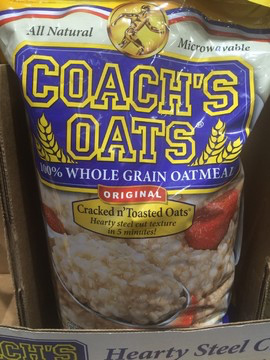 My favorite breakfast is Coach’s Oats, which is a 100% whole grain oatmeal. This cereal is delicious, especially when topped with nuts and cinnamon. 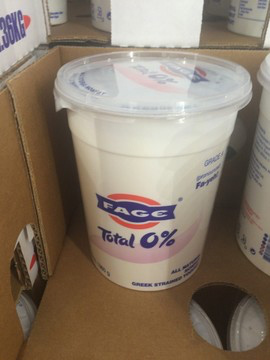 Low-fat dairy products are also easy to find, including non-fat Greek yogurt, which is great to use in place of sour cream in many dishes. 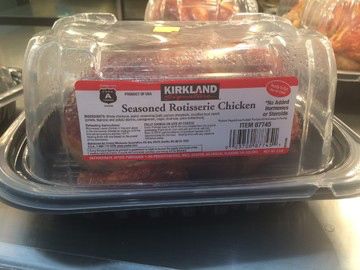 Healthy meat choices include Kirkland rotisserie chicken, which can make a quick and easy meal when you are short on time or energy.Rotisseries chickens are also a great short cut for tasty salads, soups, wraps, and casseroles. 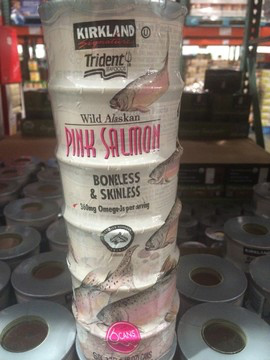 Canned salmon is another healthy, lean protein option, which can be a stepping stone for a quick and healthy meal. 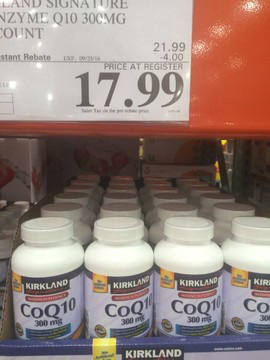 Costco carries many supplements specifically geared for people with diabetes, including Kirkland Signature Coenzyme Q10, which helps support cardiovascular health. 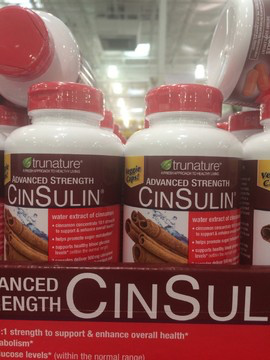 CinSulin can help maintain healthy blood sugar levels. 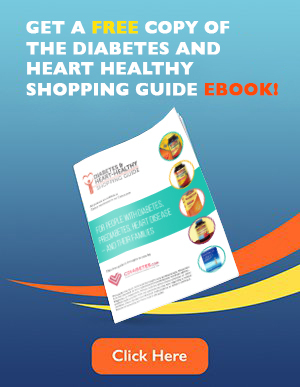 The NatureMade Diabetes Health Pack is for people with pre-diabetes and diabetes, and contains vitamins, minerals, and fish oil for heart health. 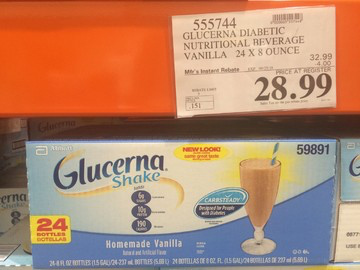 You can also find Glucerna meal replacement shakes, which help minimize blood sugar spikes. 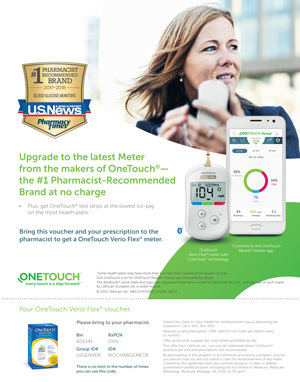 These portable meal replacements are handy for those times you need something quick and easy, yet still diabetes-friendly. And don’t forget healthy living products to help you quit smoking, and lotions for your skin. Oral care is very important, too, and people with diabetes are at a higher risk for gum problems. 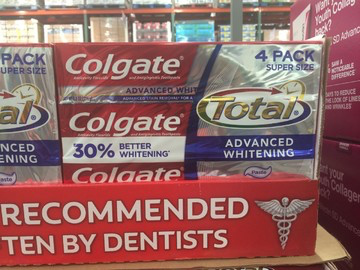 Regular brushing with Colgate Total helps you take care of your teeth and gums. 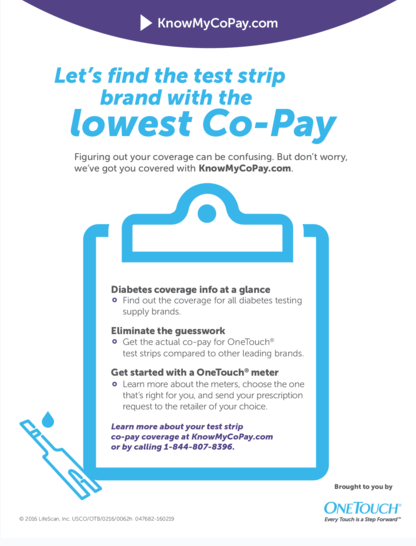 Costco stores are well laid out, and are packed with great products to help you maintain or improve your health.If you’re managing your diabetes, you’ll find so many of the products that you want, and you’ll save money by shopping at Costco.